The other day I was at Gariahat. It was so hot and humid that everything felt was melting off in the heat. Suddenly, I caught my eyes on a raft of cute little ducklings! They were herded together and so pretty to look at! 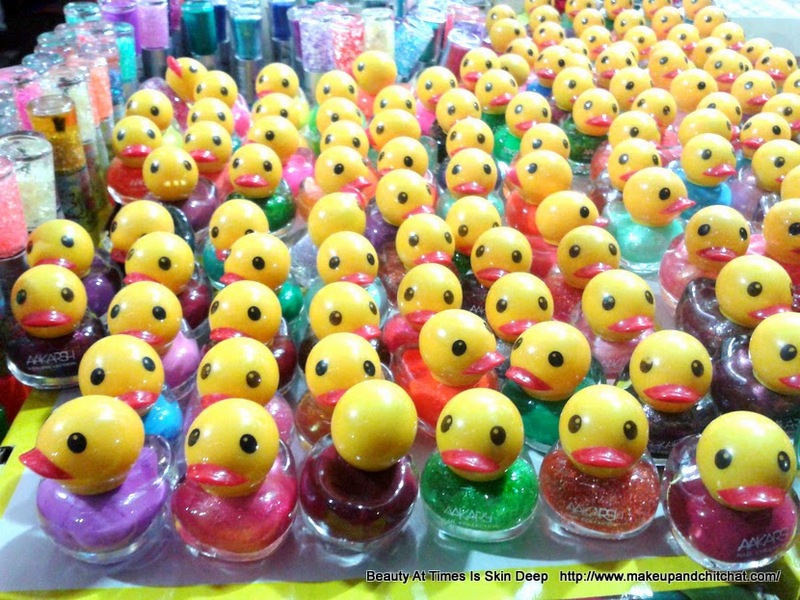 On a closer look I realized these are not toys, but nail polishes! There are also exciting nail polishes of various graffiti and textures. But, I guess, I was too struck by the ducklings to quickly take a few snapshots of those. I did not buy these because I am not into manicures and I am afraid of using unknown brands of nail polishes. What do you think of these cuties?